Yoga Flow for Event Pros is a yoga event combined with goal coaching tailored for San Diego's special event and wedding professionals. It was almost a year ago that I DJ'd my first yoga event. It took place at Parq, a swanky nightclub in downtown San Diego. I teamed up with Helen Cloots and Sheri Matthews for a night that would combine yoga with goal setting. Since then I've DJ'd other yoga sessions, including a few with Fitbit. 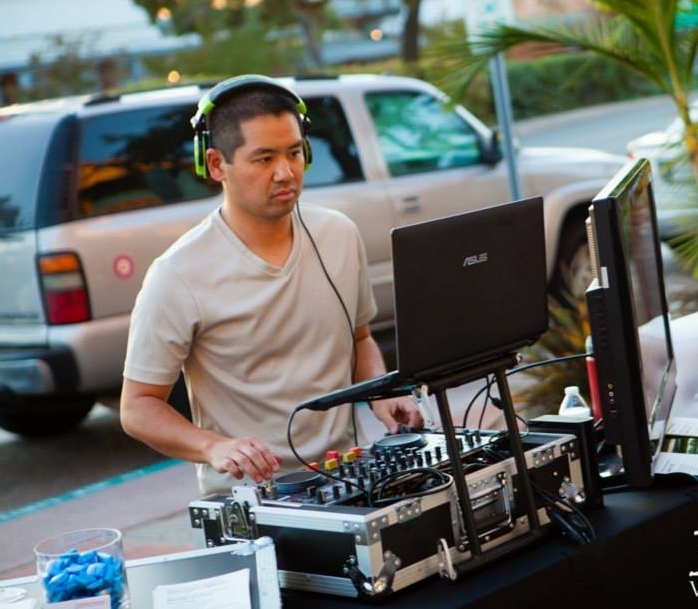 While promoting the Do Mo Yoga event I DJ'd in November, a fellow San Diego wedding vendor mentioned his dismay that he was unable to attend since he had a wedding to work the same day. I told him not to worry, because there would surely be another opportunity in the future. That's when it hit me. Why not create an event for event and wedding professionals in San Diego, using the model from the Parq event? Yoga with goal setting seems like the perfect recipe for event vendors who are diving into 2016 with business goals to achieve. The presenters, Helen Cloots, Justin Kanoya and Sheri Matthews. So here it is: Yoga Flow for Event Pros. A detour from the typical event industry networking event. There will not be signature drinks and shrimp cocktails at this one. And most importantly, no business casual dress code. It takes place Tuesday, February 16 at 4 p.m. at Brick in Liberty Station. And you can attend this event in your yoga pants. I know, it's like the event dress code you've always dreamed of. Join me and my friends Helen and Sheri and spend time doing yoga with a live beats -- spun by me -- and get started on setting those personal and business goals for 2016. We'll have great attendance prizes as well as treats from local health food companies. I can't wait to see you all out there. Please register today! Register for Yoga Flow for Event Pros by clicking the image above.